Falco contemporises the “salon-style” hanging tradition of the 1725 Paris Salon at the Academie des Beaux-Arts in Montserrat’s Carol Schlosberg Alumni Gallery. 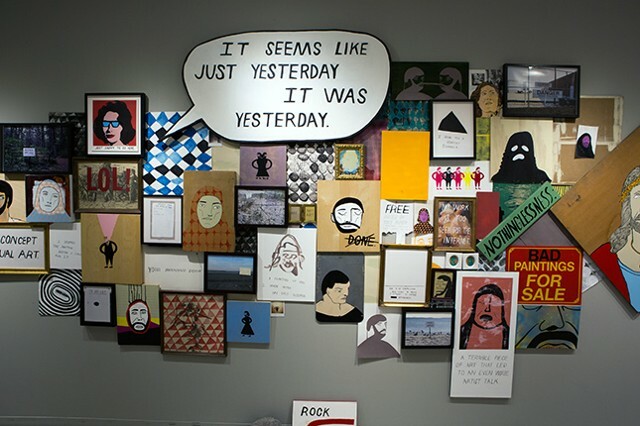 More so than hanging floor to ceiling, Falco overlays his work as if to stitch together work from past and present. 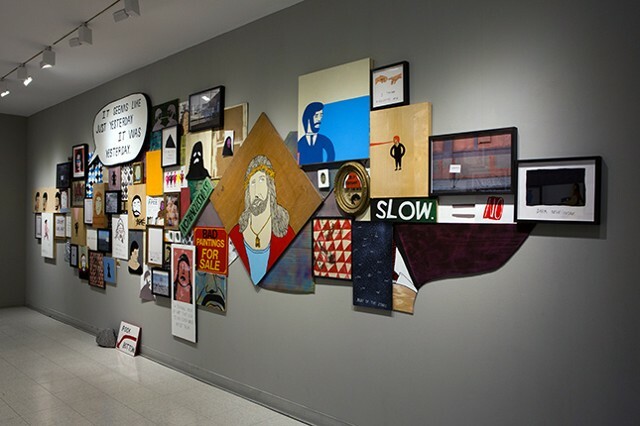 On the surface, his installation reads as a collage of humorous phrases, each with a distinct flare and typography that can be none other than his. 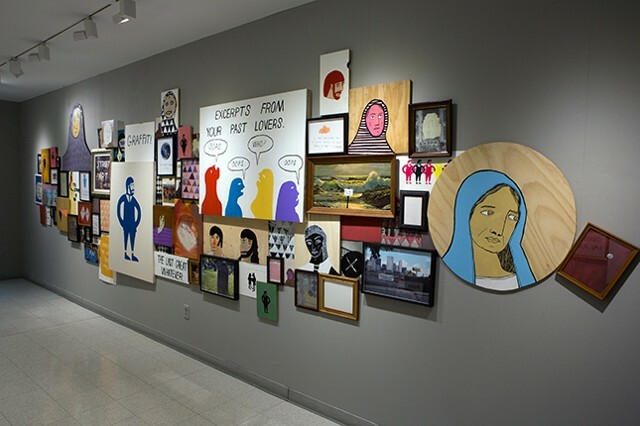 His hand as artist and illustrator floods the walls and even extends to out to the exhibition vinyl. This is his bubble, his world in which we are welcomed. 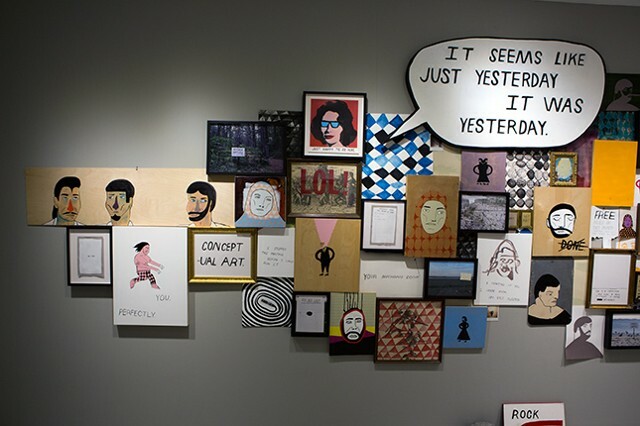 Deeper than the colorful hues and humor, Falco unearths dark undertones and “more poignant social truths”, says Montserrat Galleries Director/Curator, Leonie Bradbury. 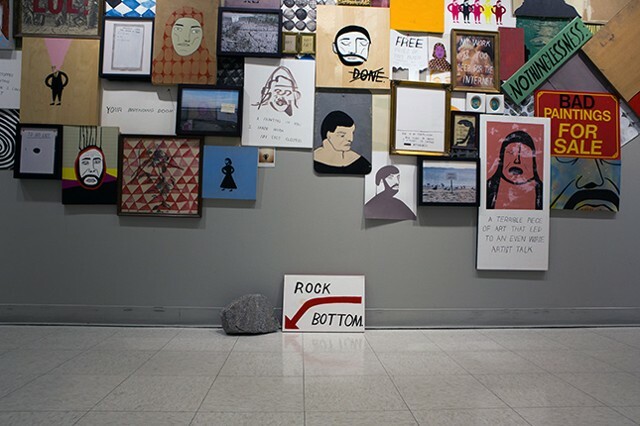 “At times sad, ironic, or even philosophical, the content is always revealing.” A rock rests on the ground, beside it a small canvas that reads “Rock Bottom” points below. You probably will laugh, but also pause to dig deeper. In the end, just as appropriately as the show is titled, you are just happy just to be here. 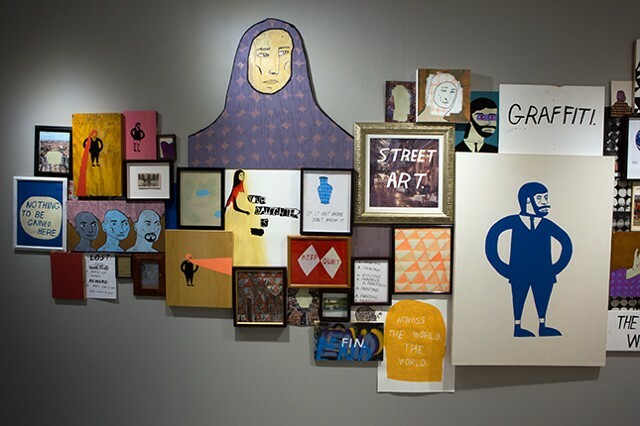 Falco graduated from MassArt in 2010 with a degree in Illustration and Art History. 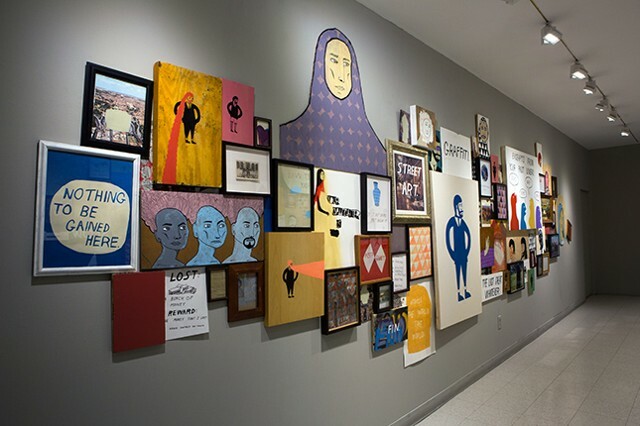 He is a member of the Alumni Leadership Council and helped start the Lincoln Arts Project with fellow MassArt alumnus Elliott Anderson. 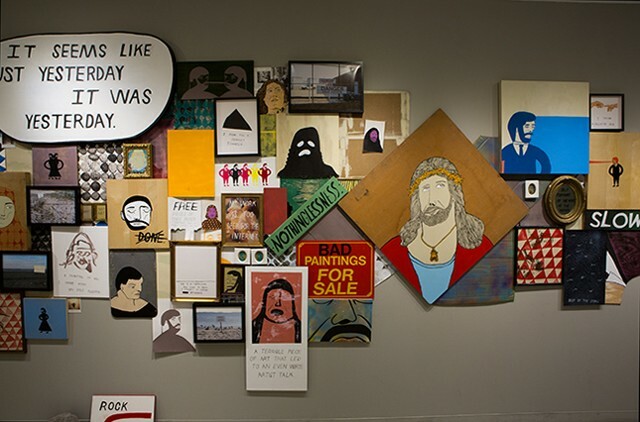 He has been chosen to exhibit in the 2013 deCordova Biennial opening in early October.